This Keto Minestrone Soup was originally created for one of my cookbooks, but because I believe this is one of the most perfect recipes I have decided to release it for free. When first sent out to the testers I knew I was completely onto a winner when everyone kept testing over and over again. Sadly I was kind of hooked onto it as well. While the soup does have a bit of carrot and tomatoes in it (raising the carbs a little) I ate this soup part of a regular meal plan and lost weight every single week at a good rate. I have included this soup in the meal plan I am creating today for our 365 members, and adding to the site for them is what prompted me to release this recipe to everyone. The chorizo sausage used in this recipe is the fresh kind, not unlike a normal sausage, but with loads more flavour. Fresh chorizo sausages are available in some supermarkets in the meat section or at specialty butchers. If you prefer to make your own chorizo I also have a recipe for that found in this link here. 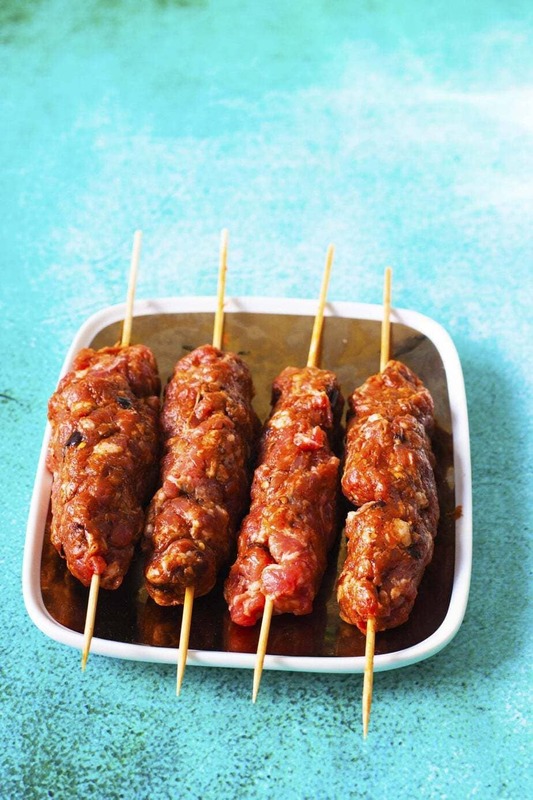 Fresh chorizo is a very versatile ingredient that has so much flavour packed into it. If you cannot find any fresh stuff, and don’t wish to make your own you can still use the dried variety but you will need to dice it all rather than meatballs. Originally this recipe was made with a vegetable stock paste but I have swapped it out for broth for a more nourishing soup. To reduce the carb content of the soup, (7g net carb) you can reduce the vegetable content and increase the meat, however I feel the flavour would change significantly and this soup is that good that personally I don’t want to play with it too much. I hope you love this recipe for many more like it including this one in hard cover you can purchase the Flavour cookbook in store today with a free shipping option. 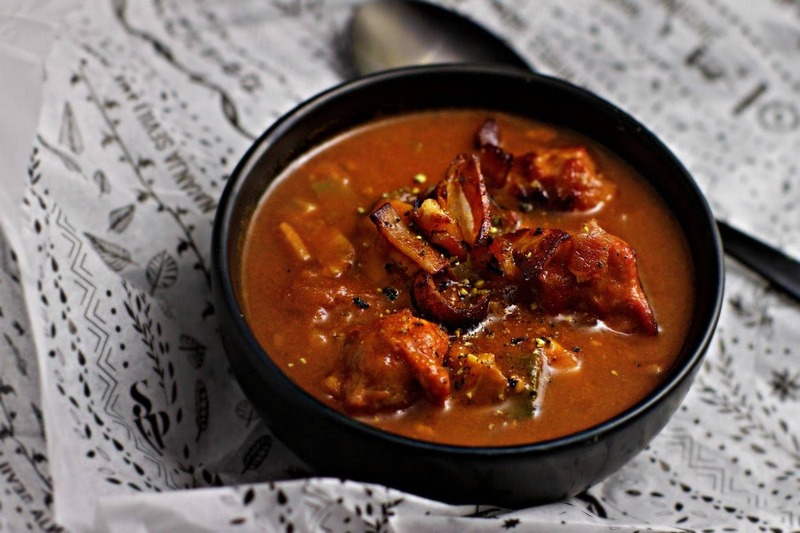 A truly delicious soup that everyone will ask you to make again! While soup is finishing off, fry off extra diced bacon and chorizo sausage meatballs. 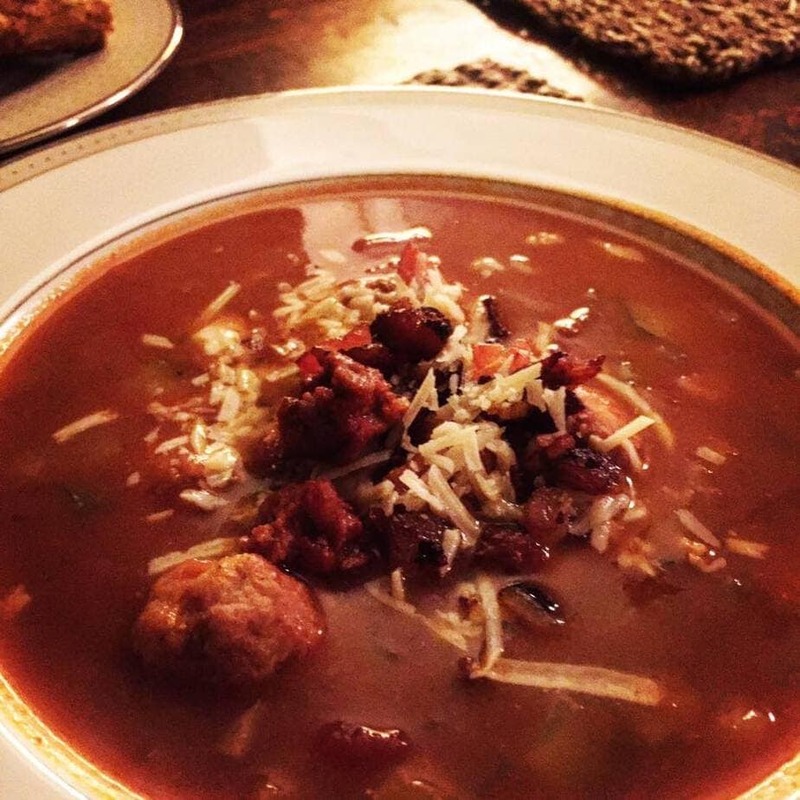 Serve soup with extra bacon and sausage and a sprinkle of cheese and pepper. This recipe is suitable to make in larger batches and freeze. Is there a version of this recipe that doesn’t require a Thermomix? Not everyone has one!